"JOURNAL OF THE AUDIO ENGINEERING SOCIETY"
Die im AES Magazin veröffentlichten Artikel sind überwiegend Vorträge, die auf einem der AES Kongresse gehalten wurden. Der oder die Autoren und Vortragenden mussten sich aber bereits vorher durch ihre wissenschaftlich korrekten und fachlich einwandfreien Artikel qualifizieren. Wichtig ist hierbei für einen bestimmten Prozess bzw. ein makabres Gerichtsverfahren in Deutschland, daß dieses Wissen bereits 1974 und früher bekannt war. Der juristische Aspekt der Glauwürdigkeit von allen manipulierbaren Medien ist erst so richtig bewußt geworden (Photoshop ab etwa 1996), als man digitale Fotos so geschickt verändern konnte, daß sogar die Fachleute ins Grübeln und Zweifeln kamen. Inzwischen in 2017 werden ganze Spiel-Filme so professionell manipuliert, daß sie als hieb- und stichfeste Beweise ünerhaupt nicht mehr taugen. Damit haben jetzt Staatsanwälte, Ankläger und Richter ein großes Problem. "The Legal Aspects of Magnetic Tape Recordings"
ABOUT THE AUTHOR : Hugh Dermot Ford was born in Oxford, England in 1936 and after a basic scientific education specialized in electronics at the EMI College of Electronics. - Subsequently he was employed in various engineering capacities by the EMI Group of Companies working on broadcast equipment, digital computers and finally for several years on magnetic recording media. In 1967, he started his own consulting business which now incorporates a specialized measurements laboratory in the field of audio engineering. - He is a Chartered Engineer, and Member of the Institution of Electronic & Radio Engineers, the British Computer Society, the Society of Motion Picture and Television Engineers, and Audio Engineering Society. Some countries accept magnetic recordings as evidence (Beweisstück) in their courts of law, others do not accept them. Some of the problems of detecting recordings which have been tampered (manipuliert / verpfuscht) with are reviewed, and in particular the problem of detecting copies of recordings. It is concluded that while some forms of tampering (Manipulation) can be detected, others cannot, with the result that in evidence (Beweisstück) magnetic recordings (eines Tonbandes bzw. einer Tonbandaufnahme) should be treated (behandelt) with great caution (großer Sorgfalt). During the past year the Watergate tapes affair in the United States has produced a considerable interest (erhebliches Interesse) in the viability (Verwendung / Nutzung) of magnetic recordings in the courts of law. The press has published the opinions of various "experts" on the possibility of detecting edits (Schnitte) in recordings, which have ranged from looking for discontinuities (Abweichungen) in the recorded hum to detecting deviations in the reverberation characteristics of the location, where the recordings were (alleged = angeblich) to have been made. Before examining the possible methods of detecting edits or other forms of tampering with the intelligence of recordings, it is first of all essential to consider the methods by which recordings presented in courts of law are made. The first matter, which has a considerable effect upon the possibility of tampering with a recording and upon the chance of detecting tampering, is the method by which the recording was made. To an audio engineer the first thing that comes to mind is a recording made in a proper studio under ideal conditions and using first-class equipment; we have never heard of such a recording being challenged in court. In practice we have come across a few recordings made using Nagra IIIs with professional microphones and radio microphones. The British police are using Nagra SNN recorders. However, in our experience the common equipment standard is something like a pocket dictating machine being carried up and down the main shopping street in a briefcase full of rattling keys, rustling papers, and anything else that one can think of that makes a random background noise. Just to make life really difficult, it is not unusual to have an intermittent connection that puts clicks onto the tape or randomly disconnects the microphone, and finally to add to the difficulties, the recorders' batteries run down during the recording. Wir haben bislang alles erlebt . . .
We are not exaggerating (übertreiben) the difficulties out of proportion (des Außmaßes); we have come across all these difficulties and others, but perhaps not all in the same recording. There are of course some recordings that reach a reasonable amateur standard, but the normal quality is poor with unintelligible (unverständliche) speech in at least some parts and excessive background noise, which more often than not has a wide frequency spectrum and a large dynamic range. 1) Either a tape must be an original recording, or there must be some good reason why the original cannot be produced in court. 2) The continuity of handling of a tape must be fully accounted for from the time of the recording to the time of its production in court. These two essential requirements originate from the law about the use of photographic evidence (fotgrafische Beweise = Beweisfotos)and provide a certain amount of protection against the use of edited recordings or other forms of tampering. However, in practice it is the continuity of handling that bears (gewährleistet) great weight (Ausgewogenheit)in court - and this factor depends upon witnesses (Zeugen), who may not be above suspicion (Mißtrauen), telling the truth (Wahrheit). This is where the "expert witness" (bei uns Gutachter genannt) comes on the scene and is faced with the problems of deciding, whether or not a recording is in fact an original recording, and in either case whether the recording has been altered in any material way. He may also be faced with other problems such as assisting with making a written transcript (Abschrift) of very poor recordings, providing "cleaned-up" versions of the original tape for replaying to the jury, and most important, advising upon the shortcomings (Fehler / Mängel) of any recording methods that may have been used. The latter problem is extremely important if proper justice is to be done, because there are circumstances where the likelihood (Wahrscheinlichkeit) of tampering (einer Manipulation) with a recording is remote, but the method of making a recording can produce deceptive (trügerische) results. For instance, we were recently involved in a case where the police had recorded a conversation in a Rolls Royce car, using a recorder with automatic gain control and the microphone attached to the shirt of one of the two policemen involved. A relatively clear recording was made of the conversation between one alleged culprit (dem vermeintlichem Übeltäter / Beschuldigten) and the policeman armed (bewaffnet) with the recorder and sitting in the back of the car with him. The other alleged culprit was driving the car and said that he did not hear the conversation in the back of the car and did not know what was happening - if he had known, he would probably have been found guilty of bribery. If this recording had been replayed in court without any technical advice, the jury would have been convinced that the conversation was clear and would have been heard by all the persons in the car. However, an explanation (Erklärung) in court of the function of automatic gain controls (Aussteuerungsautomatik) and microphone characteristics convinced the jury that the conversation might well not have been heard by the driver. On this evidence he was found not guilty. The importance of this type of evidence is, that the simple explanation of the function of an automatic gain control cannot only save a man several years in jail, but it probably has also affected the pattern of the rest of his life. Magnetic recordings are not yet very common in the English courts of law, and those that do appear have usually been made by amateurs in the field of tape recording. However, while magnetic tape is used by the British police as an aide memoire (Gedächtnisstütze), there is a movement toward using magnetic recordings for interviewing suspects and for recording their statements. It is our opinion that considerable care must be taken if this procedure is to be adopted. While we are blessed (geschützt) with a relatively honest police force, there may be criminals within the police who might be tempted (verleitet) to tamper with evidence (Beweise zu fälschen). Another final legal aspect is the likely penalty (mögliche Strafe) for tampering with magnetically recorded evidence. At the moment the production of falsified evidence (eines gefälschten Beweises) is treated as perjury, that is, producing false evidence under oath (Eid), which carries fairly severe penalties harte Bestrafung). Consideration (die Überlegung) is, however, being given to the possibility of treating (behandeln) the production of falsified magnetic tapes (gefälschte Aufnahmen) as forgery (Fälschung), which attracts far more severe penalties because the act of forgery is essentially premeditated (vorsätzlich). As has already been said, the English courts of law do not accept copies of recordings, unless the original cannot be produced for a good reason. On the assumption that copies can be detected, this gives a degree of protection against edited tapes being produced, as it eliminates the conventional method of editing with a razor blade (Rasierklinge) and splicing tape (Klebeband). But can we detect a well made copy ? Let us first consider, what we would expect to find if we are presented with a recording which has been made using a new tape on a battery-operated recorder, equipped with the usual automatic gain control. Fig. 1. Expected tape format. Fig. 1 shows a typical pattern of events. The magnetic tape has a nonmagnetic leader and trailer attached by factory-made splices which are of standard lengths and colors. The noise level replayed from the tape both before and after the recorded section should correspond to the bulk erase noise for the particular tape type. The recorded section will commence with a recorded click when the recorder was switched on and terminate with a double recorded click when the recorder was switched off. The recorded signal level will not exceed a certain limit and will be consistent throughout the recorded section. The recording will not contain any underlying tones such as power supply hum, or contain any clicks of an electrical nature. At first sight it may appear to be easy to make a copy tape which will comply with this format. However, one must also take into account the circumstances of any given recording. First, it is usual for the make and type of original recorder to be known, and every recorder leaves some individual clues on its recordings. Second, recorders do not switch on and off by magic. A person is required to actuate the switch which is usually near the microphone. Thus there will be a recording of the person moving to the switch and actuating it at the end of the recording, and possibly some similar event will be recorded at the beginning of the recording. Was müssen wir prüfen ? 1) Do the start and stop patterns align with the recorder used? 2) Are the recorded noise levels right? 3) Does the recording contain hum or other recorded tones? 4) Are the recorded levels right? Is the bias frequency right? 5) Is the recorded format that of the original recorder? 6) Does the tape contain recorded electrical clicks or other signs of interference? Fig. 2. Typical start pattern showing "on" click and buildup of automatic gain control. 200 ms/div. Fig. 3. Typical stop pattern showing end of recording and click from erase head. 100 ms/div. With the exception of some high-quality studio recorders, all recorders leave a click pattern recorded on the tape when the machine is started or stopped in the record mode. This pattern differs to a great extent (in hohem Maße) from one type of recorder to another (von einem Gerät zum Anderen). It can therefore be used to identify a particular type of machine. Fig. 2 and 3 show the start and stop patterns of a high-quality portable recorder, and it can be seen that the stop pattern is of particular importance as this gives a clear indication of the mechanical spacing between the record and erase heads of the particular machine. Furthermore, the tape noise around the stop pattern is of particular interest, because the noise in the gap between the record and erase heads is bias/erase noise, and the noise after the erase head is bulk erase noise if the tape in question has not previously been used. There are several techniques available for recording start and stop pattern click waveforms. The head configuration is not critical on the replay machine for this exercise, the main requirements being that the tape speed be accurately known and that the oscilloscope or oscillograph have an accurately calibrated time base. It is then a simple matter to deduce (ableiten, herausfinden) the tape length between the record and erase heads from the time between the associated clicks. A storage oscilloscope (damals 1974 war das ein analoger Speicher-Oszilloscope) is a very useful tool for investigating small sections of the recorded waveform, but its use tends to be rather tiresome (sehr mühsam) because of the problem of triggering the time base at precisely the right time. Possibly an ultraviolet recorder is in many ways a more useful tool, and we commonly use a high-speed ultraviolet recorder which has a flat frequency response from direct current to 25 kHz and a maximum paper speed of 1600mm/s together with timing markers available at down to 10ms intervals. Such a device saves much time investigating waveforms because of the virtually unlimited length and rapid availability of the record. The only shortcoming (Schwäche/Fehler) of the ultraviolet recorder is that the available time-base speeds are too slow for analyzing fast transients. For this purpose one has to resort to the storage oscilloscope, the use of an analog/digital store, or to using photographic cinematograph film in an oscilloscope camera. The latter is, however, a very tiresome occupation (mühsame Tätigkeit) because of the problem of rapidly processing the photographic film. There are, however, various tricks for triggering an oscilloscope at precisely the right time without having to interfere with the original recording, which is normally strictly forbidden. The basic trick is, to place an optically opaque marker on the periphery of one of the tape spools and to use a photoelectric pickup to detect the position of the marker. It is then possible to move the photoelectric pickup to a convenient place around the periphery of the spool, and to use its output to trigger the oscilloscope or other recording device. Using this technique it is possible to trigger within a few tens of milliseconds (wenige zehntel Millisekunden) of the desired point without undue difficulty. A further refinement is to use this technique in conjunction with a delayed time-base oscilloscope (das war damals alles noch analog und mühsam). It is then possible to select the desired trigger point within a millisecond or so, in spite of variations in tape winding tension, stretch, etc. Using these techniques it is an easy matter to determine the start and stop waveforms, and to determine from the latter the record/erase head spacing. The actual shape of the "stop"-waveform is also significant because it varies not only from one recorder to another, but it also gives some indication of the type of erase head used (such as single or double headgaps). The type of "start"-waveform is somewhat more difficult to analyze, but here it is possible to compare the waveform with a typical start waveform of the type of recorder, which was said to have been used for the original recording. Not only must regard be given to any click waveform present, but it is also quite feasible to obtain some idea of the start time of the recorder. So much for the actual waveforms. The next matter of great importance is the recorded noise levels, both within the apparent recording and around the stop pattern. (05) Are the Noise Levels Right? 3) the recorded background noise throughout the audible recording. The relation between bulk erase noise and bias/erase noise is fundamental to the analysis of recordings and should be clearly understood. The bulk erase noise level is the noise level commonly found to exist on new and unused tapes, and it is consistent to fairly close limits within a tape type. Bulk erase noise is the tape noise resulting from passing a tape in an open magnetic circuit through a saturating alternating current magnetic field which is slowly reduced to zero intensity. These conditions are met by the common types of tape bulk eraser, which erase tapes out of contact with the ferromagnetic circuit. Bulk erase noise is always less than bias/erase noise which is added by passing a tape through a slowly decreasing alternating-current magnetic field in a closed magnetic circuit. Such a condition is met when a tape is in contact with the erase or the record heads of a tape recorder set to the record mode and without any audio input signal. In practice the tape recorder may also add further noise from two sources. First, many erase oscillators have a significant even harmonic distortion content which in effect records a direct-current signal onto tape with the resulting addition of modulation noise, and second, it is not unknown for the tape recorder's record amplifier to add further noise. For the purposes of this paper the total measured noise resulting from the tape being recorded with no audio signal will still be called bias/erase noise, but it is important to note that this bias/erase noise will vary in level from one recorder to another. It is also useful to note, that the bias/erase noise introduced by a recorder is normally at virtually the same level when the tape has passed over both the record and erase heads, or when it has passed over either head alone. Depending upon the alleged history of a recording (die angebliche Historie dieser Aufnahme) it is necessary to decide upon the significant points for analysis. Rather surprisingly the "unused" section of a tape is an extremely important part. It is no easy matter to make a tape copy with the correct stopping conditions. One way to eliminate this problem is to copy a tape in its entirety and subsequently remove the bias/erase noise after the off click of the original recording. At first sight it would appear to be virtually impossible to bulk erase a tape up to the point precisely coincident with the off click, but there is in fact a very simple way in which this may be done, but it may leave a "footprint". All parts of a tape which should contain bulk erase noise should have a graphical recording of the noise level made throughout their length, using a replay machine with the correct replay head width and a good replay amplifier with an adequate margin in signal-to-noise ratio. The use of other replay track widths (Wiedergabe mit anderen Spurbreiten) may also give valuable results. The resulting plots of tape noise should naturally be consistent in level and exhibit a tape noise level which agrees with the bulk erase noise of the tape type. Fig. 4. Tone bursts revealed as result of narrow-band analysis. It is then vital to look in further detail, and it is our practice to do several third-octave spectrum analyses along the length of the "unused" section of a tape and to make sure that they are consistent. Any inconsistent must be investigated in further detail, and Fig. 4 shows what may be found: periodic bursts of 30-Hz tone along unused tape. In this instance the tape manufacturer was able to find several other reels of the same batch of tape, but none of them showed the 30 Hz bursts, and other tapes involved in the same court case did have 30-Hz bursts in the alleged unused sections which should have shown only bulk erase noise. This became a great puzzle, particularly because the bursts were at a level well below bulk erase noise. After much experimentation we were able to reproduce this peculiar feature by copying tapes on Nagra III recorders (which had been used for making the alleged original recordings) and by removing the bias/erase noise after the off click by passing the tape over the recorder in the record mode, but with a layer of adhesive tape over the erase head and the record head bypassed. The latter operation produces bulk erase noise because the tape is in an open magnetic circuit, but the strength of the erasing field is such that it does not completely erase long-wavelength recordings, such as the 30 Hz. The 30 Hz originates from the servo system of the replaying Nagra III and is present in the replay output in bursts depending upon tape tension. It is of course copied onto the copy recording made by the second machine. This theory of copying produced much consternation (Aufregung) in court, but the only explanation that the other side could offer to explain the 30Hz tonebursts recorded on apparently bulk erased tape was that they were the result of a "little leak" (also eine Undichtgkeit oder Schwäche des Beweises). While a defect in a recording such as this is completely inaudible at the normal tape speed, it is clearly audible at higher tape speeds. It is therefore always a wise precaution to replay tapes throughout their length at both higher and lower tape speeds than the nominal speed, as this will make infrasonic or ultrasonic tones audible. This precaution includes listening in the fast wind mode at really high tape speeds. This leads to the problem of determining (ermitteln) the noise level between the off clicks of the record and erase heads. At the correct tape speed this gap occupies a very short time, with the result that measurement of the noise level may be virtually impossible, even when using a high-speed level recorder. However, operation at a lower tape speed will normally solve this problem so that the expected bias/erase noise can be checked. Another method that is useful for investigating the noise level near large amplitude signals is to run the tape backward so that the section of tape of interest occurs before the large amplitude signal, thus avoiding saturation of the measuring equipment. The background noise level within the recorded section of a tape should also be checked throughout the recording by making a continuous recording of level with a highspeed pen recorder and using a lowered tape speed to investigate any sections where there are any short-term drops in level. Should the noise level drop below the expected bias/erase noise level at any time, this is a clear indication of some form of interference with the recording, if the tape coating is intact at the point of interest. At first sight a recording which has been made with a battery-operated recorder away from the public electricity supply should not contain 50Hz hum. This, however, may not be the case. In fact many recorders use capstan servo systems which operate by using tachometers in conjunction with various forms of frequency comparison, and it is not uncommon (ungewöhnlich) for tones from these systems to be recorded at very low level onto tape. Such tones are normally at extremely low levels in the record section of a recorder, but at much higher levels in the replay output. It follows that the presence of such tones under a recording is a very important matter when investigating recordings and provides a useful tool for detecting copies. Because of the low level at which these tones are present on tape, any analysis requires the use of very narrow-band filters which must also have a wide dynamic range so that they do not overload during heavily modulated passages of the audio recording. However, there is a limit to the minimum bandwidth that can be used because of the inherent wow and flutter in any recording, which may put originally constant frequencies out of the filter bandwidth. A further matter which always warrants investigation is any mains frequency hum within a recording. However, this line of attack must be approached with great caution, as it is all too easy to come to incorrect conclusions about the characteristics of the recorded hum. For instance, a change in hum level coincident with a phase change in hum may be regarded with great suspicion. A little thought shows that this can be a result of perfectly normal circumstances, such as the total recorded hum being caused by a number of hum sources and one of them being switched off. Similar apparent defects may also be caused by variations within the public electricity supply as a result of changes in supply routing or switching of heavy motors. It follows that the detection of sudden changes in level or phase of recorded hum are not in themselves indications of tampering with a recording, but do indicate points in a recording worth further investigation by other means. Cyclic changes in recorded hum level are a slightly different matter and can be the result of adding hum when copying a recording which already contains hum. Here again there are quite innocent origins (ganz harmlose unschuldige Quellen) which must be considered, such as the mains frequency beating with the recorder's tape speed servo tones. Naturally such investigations demand the use of replay equipment which itself introduces negligible hum or other tones in its replay output. Recordings of telephone calls present the worst difficulties in these respects, as telephone systems commonly have fairly high inherent hum levels which may or may not bear any relation to the hum which is often simultaneously induced from the public electricity supply, at very high levels if an inductive pickup coil has been used. The analysis of the recorded level in terms of a standard reference level is best carried out by means of a highspeed level recorder, and it is our practice to make up to four runs of the tape so that unweighted level and A-weighted level are recorded on paper in such a manner as to show both the recorded peaks and the minimum recorded levels with a clear resolution of better than 1 dB. From these results it is possible to note any sudden changes (plötzliche / unerwartete Veränderungen) in level which do not correlate with the conditions of the alleged original recording. In particular, any breaks in the recording where the noise level approaches either bias/ erase noise or bulk erase noise become clear so that further investigation can follow. Such apparent breaks in continuity can be investigated in detail by operating at reduced tape speed, which is particularly valuable if the breaks occupy a very short time. Normally it is quite clear from listening tests if any automatic gain control has been used during the recording, but a combination (Mix) of a "level recording" and listening tests is certain to decide if this is the case. Where it is apparent (offensichtlich) that an automatic gain control has been in use, the peak recorded levels should be consistent if adequate record gain was available at the time of recording. This matter can be readily confirmed if one has knowledge of the original recording conditions and the equipment used, if necessary by simulating the alleged original conditions and making sound level measurements. In some instances a statistical analysis of the recorded level may serve to confirm changes in the long-term recorded level, where it is apparent that an automatic gain control was in use and that adequate sound pressure levels were available at the time of the original recording. Finally there is the matter of the recorder's bias frequency, and while we have seldom found this to be a useful matter to investigate, it is worthwhile (lohnend) to attempt to extract the frequency of the recorded bias waveform by running at lower tape speeds. Should it be possible to determine the bias frequency, which is unusual where the recording speed was less than 19cm/s, this may be used as a further check upon the authenticity of a recording. Furthermore, the bias frequency should be sensibly constant (dauerhaft gleichmäßig) throughout a particular recording if it was made with a single machine without breaks. The recorded track width (Spurbreite) and the possible presence of a pilot tone track (as used for synchronous film recording) is one of the more obvious factors that may be confirmed, but only to reasonable accuracy, without using destructive methods of investigation. The safest method is to use a magnetic tape viewer which is a commercially available item and consists of a suspension of ferromagnetic particles that are contained behind a very thin nonferrous diaphragm. The entity is placed on the coated side of the tape with the result that the ferromagnetic particles align with the recorded flux, thus giving a visible indication of the recorded format. This gives a reasonable indication of the recorded format, depending upon the recorded level, and wavelength, but it is a particularly useful method where black colored tape coatings are involved, because they form a poor background for observing other methods. A more accurate method is to apply a mixture of carbonyl iron and a rapidly evaporating liquid which must not be a solvent to the tape coating. This then leaves a deposit of carbonyl iron particles aligned with the recorded flux on the surface of the tape and shows the precise location of the recorded tracks. However, caution is necessary to ensure that the tape coating is not damaged, and some visible marking may be left on the tape at the point of investigation. As any recording engineer is well aware, there are two sources of audible clicks, (1) those from electrical interference and (2) those associated with poor editing. So far as tape copies are concerned, either of these may occur. There is a third form of click that may be introduced at the stage of either the original recording or that of the copy. This is (3) an audible click, that is associated with sudden variations of level together with the use of poor automatic gain control or limiter time constants. During the analysis of any form of audible click it is vital that the replayed rise time should correspond to the original recorded rise time. Hence the correct replay equalization time constants must be used and the replay azimuth must be as nearly correct as possible. The latter factor implies that the minimum available track width should be used for replaying the tape, consistent with a reasonable signal-to-noise ratio. Fig. 5. Waveform of splice done with magnetized razor blade. 100 jus/div. It is then possible to photograph the rise time of the recorded click with a good degree of accuracy. Should the rise time be outside the bandwith of the original recorder, this would be grave cause (es begräbt den Grund) for suspicion (Mißtrauen). For this type of analysis, it is of course vital that the original recording should be used, because any attempts to define click rise times from copy tapes are meaningless. Other matters giving cause for suspicion are highly asymmetrical click waveforms, which cannot form a part of music or speech (which has a worst case asymmetry in the order of 8dB), and click waveforms which form single cycles of a frequency which is alien to the adjacent waveform. The methods for the analysis of clicks are identical to those for the analysis of the start and stop patterns. However, the associated bandwidth must be somewhat larger to accommodate the fast risetime waveforms that are associated with purely electrical clicks which can be introduced by some forms of editing. It may, however, be surprising that even 90° splices made with a magnetized razor blade give a slow waveform in comparison with normal music or speech waveforms (Fig. 5). The previous tests give a reasonably good chance of detecting a copy tape. However, someone with a knowledge of these and other techniques could produce a copy that would pass as an original, unless it were subjected to an extremely time-consuming examination which would not normally be financed by the courts of justice. The conventional professional form of editing implies splicing a tape. Such a splice involves about 12mm of splicing tape which has a good chance of being observed visually. Hence the common methods of editing require, that a copy tape be made, and there is a good chance of detecting such a copy. Assuming that professional editing methods cannot be used, one resorts to amateur editing methods, which when they do not employ splicing are concerned with starting and stopping the recorder at appropriate times. If this has been done without any precautions, substantial clicks will be left on the tape at any points where the recorder has been switched into or out of the record mode. Such clicks can be readily analyzed by the methods already described and are obvious signs of tampering. However, this form of editing can be easily accomplished without leaving recorded clicks on the tape. This is done by using the pause control which is fitted to many recorders. The desired editing point is marked on the tape with a wax pencil and the tape moved by hand a few centimeters in the forward direction. The recorder is then put into the record mode and the pause condition and the tape rewound by hand to the desired editing point with the result that the clicks produced when the machine was switched into record are erased. The recording is then started by releasing the pause control, which with many recorders gives a remarkably fast start time in the order of only a few milliseconds. Fig. 6. Type of editing mark that may be found. If this type of editing is carefully done, it can be extremely difficult, if not impossible, to detect. As with other types of edit, the clue lies in any variations of recorded level, noise, or tones at the editing point. Furthermore, it is wise to make a careful inspection of both sides of the tape at any point where editing is suspected, as well as to observe the recorded tracks with a tape viewer or carbonyl iron suspension. Fig. 6 shows the result of the inspection of a tape which was involved in criminal proceedings (Machenschaften). It was found, that the location of this editing mark with respect to the defects in the recording, bore a precise relationship (zeigte ein präzises Verhältnis) to the spacing between the heads of the recorder, which was known to have been used. Anmerkung : Was dieser Absatz wirklich bedeuten soll, ist unklar. Other forms of deception that may be used are the removal of parts of a recording by erasure, simply switching the recorder on and off, and finally the loss of complete reels of recorded tape which, while it is not exactly in the province of engineering, provides a very effective form of editing. Overall it is necessary to treat each particular recording on its own merits and to devise checking methods that are appropriate to each case. However, while carefully made copies of an alleged original tape may be used for limited investigation, it is vital to check every parameter on the alleged original recording, because any copying process must essentially produce some degradation of the recorded "quality" such as degradation of signal-to-noise ratio, distortion of the frequency spectrum which alters the rise time of clicks, addition of hum and loss of bias frequencies, etc. During the examination of alleged original tapes every possible precaution must be taken to avoid any form of interference with the recorded signals. It is therefore vital that replay machines be in good mechanical condition and have their tape path demagnetized every time they are used. Furthermore, the record function should be permanently inhibited. We refuse to examine any recording which is involved in court proceedings unless there is a responsible witness present while the tape is in our possession. Likewise, the British police do not permit examination of tapes that are in their safe keeping unless the expert is accompanied by a police representative. Generally one's own ears provide the most powerful tool for investigating recordings, and any points that sound wrong or in any way suspicious should then be subjected to detailed analysis by other means. Even then there may be endless arguments about the interpretation of results, the classic case being the apparently truncated word which sounds wrong. This can be the subject of every form of analysis including oscillograms and spectrograms (voice prints), the sole effect of which is to produce a heated debate between speech experts who will fail to agree whether or not the decay rate (Abnutzung oder Zerfalls-Rate) of the waveform is natural, but agree that identical results could be produced by a 45° splice in the tape. (11) SHOULD TAPE BE USED IN EVIDENCE? 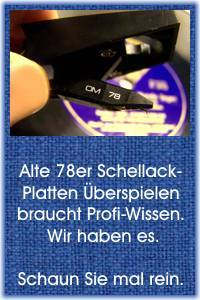 It is our opinion (Ansicht) that magnetic recordings should never be considered as being reliable evidence (verläßliche Beweise), because we are convinced that it is not very difficult to produce edited recordings that will pass the most stringent tests without edits being located. This opinion is supported by all the engineers with whom we have worked in this field, and is further supported by the only experimental trials that have to our knowledge been undertaken. These trials were sponsored by the Canadian Broadcasting Corporation and involved a number of experts in Canada and the United States. The outcome (Ergebnis) was, that some edits were detected, some edits were not detected, and some edits that did not exist were "detected." In the light of this knowledge we hope that those countries that have so far not arrived at the stage of accepting magnetic recordings as evidence in courts of law will take the precaution of rejecting magnetic recordings as any reliable form of evidence. Unfortunately, many countries have accepted magnetic recordings as evidence in courts, with the result that police forces and other official bodies are tempted to make use of magnetic recordings for obtaining evidence and for recording interviews with suspects. Where such use of tape cannot be avoided it is important that recordings be made under controlled conditions, and in particular that every effort be made to make the investigation into the authenticity of such recordings a straightforward operation. If investigators would commence their recordings with a recorded message of day, date, time and place, end their recordings with the same identity without any break in continuity, and use new bulk erased tapes, the verification of tapes would be much easier. Some of the methods which we found from experience to be valuable tools for investigating the authenticity of magnetic recordings have been outlined. These methods are by no means a complete summary of the techniques that have been found useful, but they do present the major methods that should be considered for use on any recording. Individual recordings which have been made on various types of recorders will dictate the use of other methods, with the result that it is essential to treat each tape on its own merits. Finally, no claim is made that edited tapes can be detected. Some can, but it is our firm opinion that it is currently impossible to detect some edits.